Our lovely new bow headbands are suitable for Baby to Adult. They have a soft elastic stretch band. 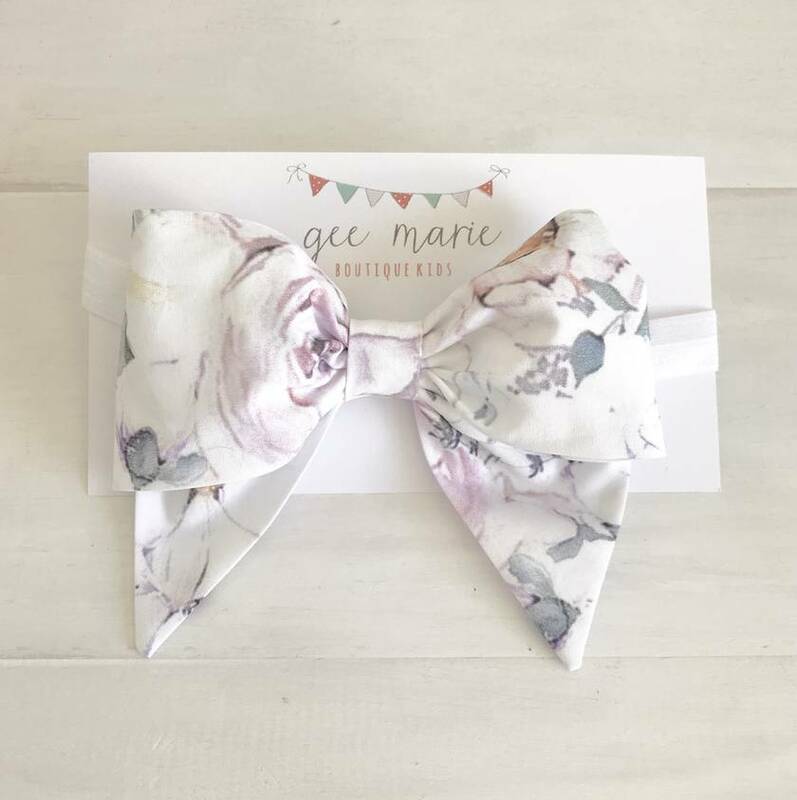 The bow is handmade using one of our cotton fabrics and comes in 2 sizes. Contact geemarie to enquire about payment or shipping options.